Handpainted Spanish Ceramic Tile Mural, signed by Spanish artists on the eastern coast of Spain. 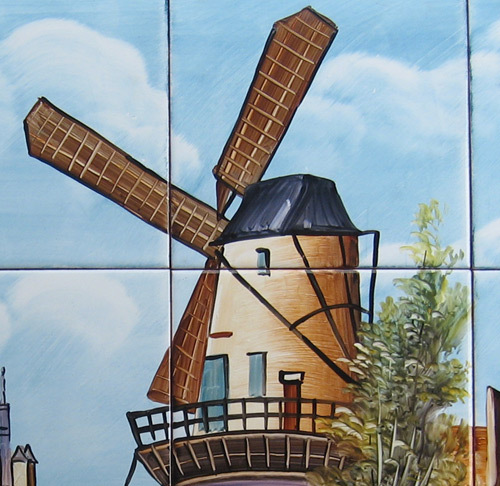 This is a beautiful traditional theme, " Molino " which means windmill, it can be displayed outdoors as well as the rest of our tile murals. It can be attached directly on any wall using mortar, liquid nails or tile adhesive, or they can also be framed for display. 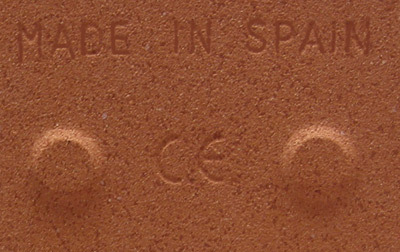 It will add the perfect mediterranean touch to any part of your home. This mural comes as shown, ceramic frame is also available. This product is fully handpainted by artisans in Spain and imported from Spain, other websites offer "handpainted" mural tiles also from Spain at similar prices but they are prints, they are fully imprinted tiles.